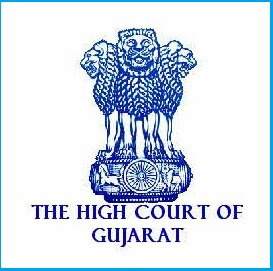 Gujarat High Court Recruitment 2019 - Gujarat High Court invites Online applications for recruitment of 124 Civil Judges Posts. The applicants are requested to apply online only through Official Website www.hc-ojas.guj.nic.in on or before 01.03.2019. Interested candidates are requested to peruse the advertisement regarding the process of Examinations and Interview, Eligibility Criteria, Application Fee, How to Apply, Pattern of Examination, Syllabus, Question Paper, Admit Date, Exam Date, Result Date etc,. Refer thoroughly before applying. 1. Civil Judges A prospective Candidate must possess a Degree in Law from a University recognized by law in India & - - must be practicing as an Advocate in Courts of Civil and / or Criminal Jurisdiction on the last date fixed for submission of Online Application. Candidates, who have passed the Degree in Law from the academic year 2009-2010 and onwards, must have also passed the All India Bar Examination, in order to be considered as eligible for being termed as a Practicing Advocate,. OR - must be working in the Courts or other Allied Departments on the last date fixed for receipt of applications. [See instruction at Item No.10(7)] Note: Candidates working in the Courts or other Allied Departments, must be holding LL.B. Degree of 03 Years’ Course or 05 Years’ Course from the recognised University. Gujarat High Court may follow the following process to select the candidates. How to apply Gujarat High Court Civil Judges Recruitment 2018?